WSU President Kirk Schulz says that the university would participate if state Attorney General Bob Ferguson sues the administration over DACA. The Trump administration announced Tuesday that it will end the Deferred Action for Childhood Arrivals program, commonly referred to as DACA, which has given temporary legal status to more than 800,000 people who illegally entered the U.S. as children. Nearly 18,000 of those affected by this decision are Washington residents. The joint letter also called on Congress to pass the Dream Act or similar legislation that would provide some form of solution for people currently depending on DACA to work and stay in the country. 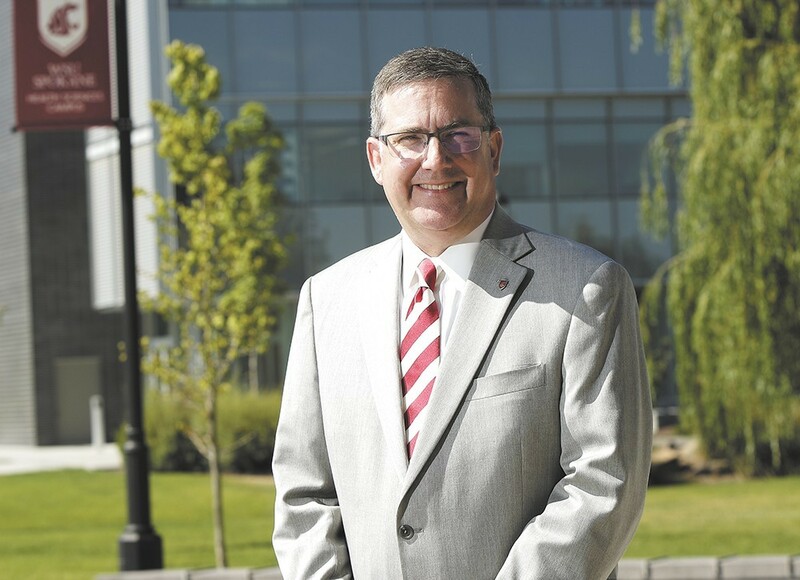 In a town hall meeting on Washington State University's Pullman campus, WSU President Kirk Schulz addressed the issue and cited two main ways in which the university will be working to support undocumented students and those who rely on DACA. The university will take direct legal action and work with the state’s congressional delegation to aid its undocumented student population, Schulz said. On Monday, Washington State Attorney General Bob Ferguson said he would sue President Trump if he attempted to end DACA. Schulz said that WSU would be involved in the filing of that suit. Shane Reynolds, president of the WSU Graduate & Professional Student Association, believes the university will do all it can, even if things are not clear now. WSU students are not required to disclose their immigration status, but Schulz estimated in an email to students that several hundred DACA students are enrolled at WSU’s various campuses in any given year. While many questions are now being raised, some staff and faculty members are relieved they now know the status of the DACA program and no longer have to guess about its status. “I’m glad we know now, so we can and plan and move forward,” said Marcela Pattinson, assistant director of community relations and outreach at the WSU Office of Multicultural Student Services. WSU has a number of resources and advisory groups to aid undocumented students in any manner, she said. “We’re getting together and being proactive rather than reactive,” Pattinson said. “The most important thing for our administration is the safety of our students. Mabel Hernandez Collazo, a DACA recipient and former WSU student, criticized the university, saying the school’s actions do not always match the administration’s statements. “I know the university tried its best. Faculty and students always shared their support, but at the university level, it was always handled very generically," Hernandez Collazo said. As an undocumented student and DACA recipient, she said she hopes that WSU and other universities will continue to protect and support undocumented students, who pay tuition and go to class like anyone else. Pattinson shared a similar sentiment. “Once [undocumented students] are here, it’s the moral duty of the university... to help them stay and graduate, as well as everyone else at WSU,” she said. If no other actions are taken, DACA will formally end on March 5, 2018.